Come wintertime, many people in the northeastern United States are looking for an escape from the cold weather. 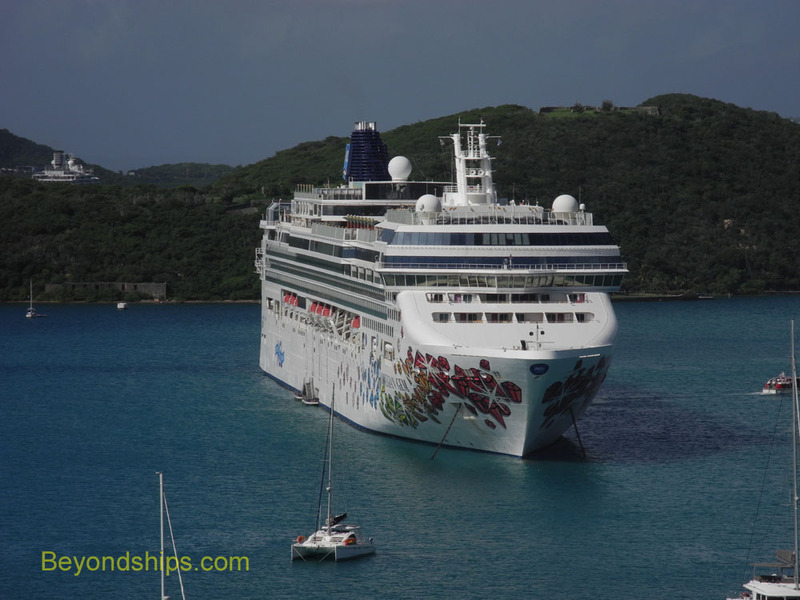 Therefore, Norwegian Gem, one of Norwegian Cruise Line's two New York-based ships, becomes a familiar sight in the popular Caribbean ports. In this feature, we see her in three of those ports. 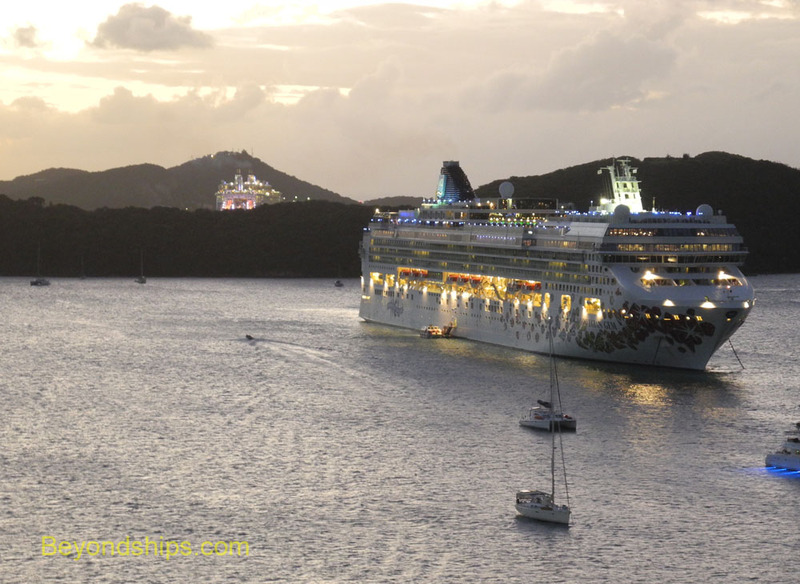 Here, Gem calls at one of the most popular ports in the Caribbean, St. Thomas. 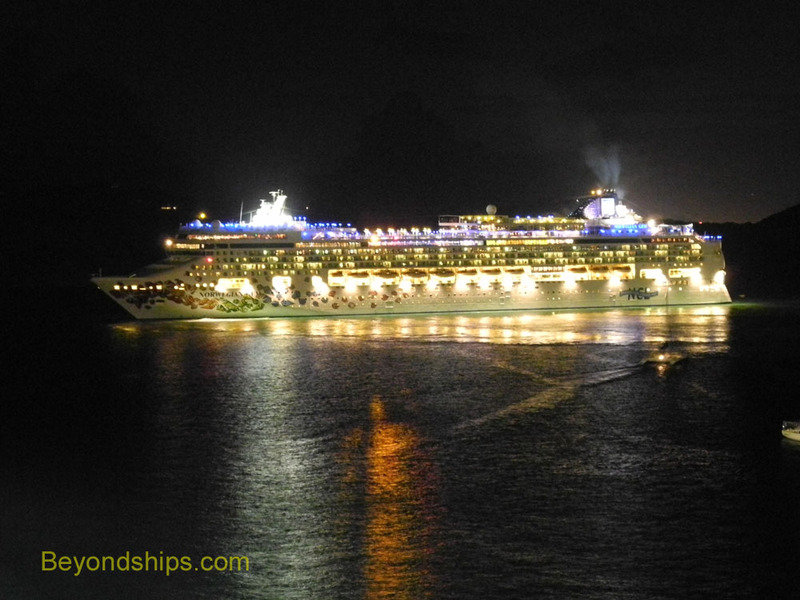 Indeed, it is so popular on this occasion that all of the berths are taken by other cruise ships. 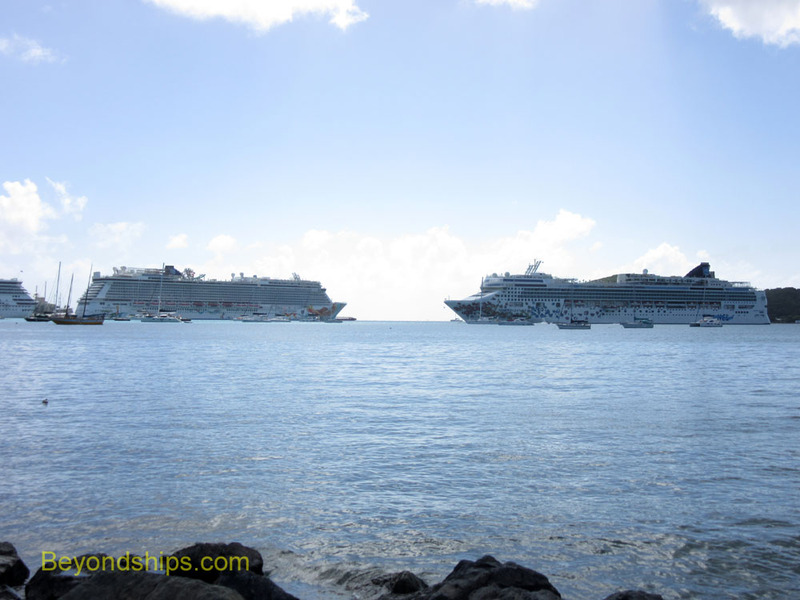 As a result, Gem has to anchor in the bay in front of Charlotte Amalie. 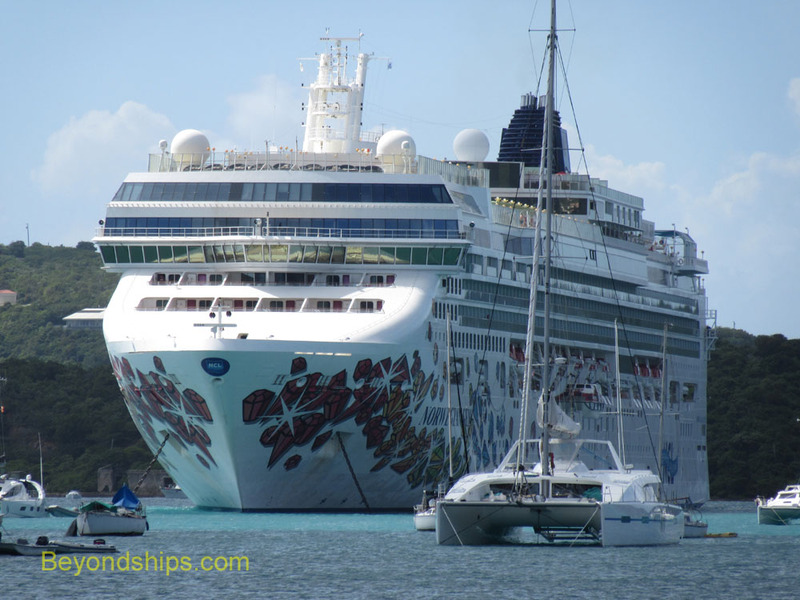 Above: One of the other ships in port was fleet-mate Norwegian Getaway. 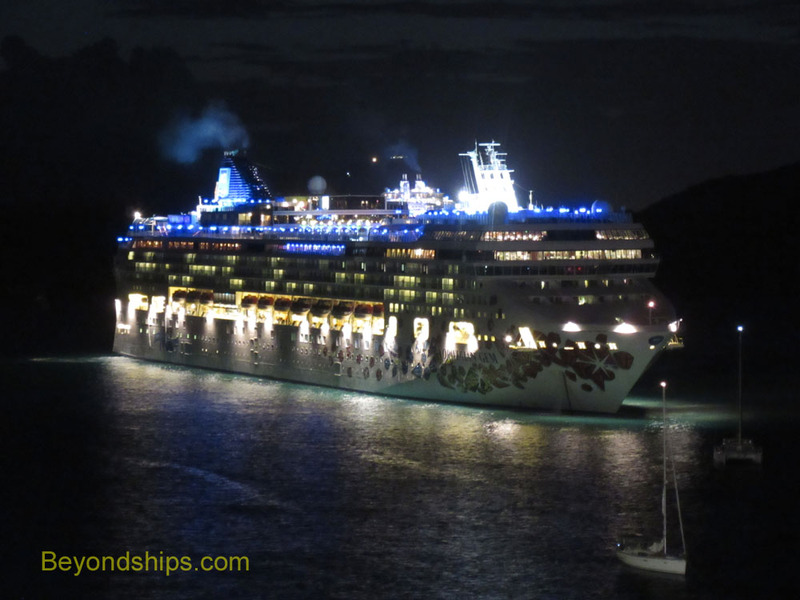 Winter sunset comes early even in the Caribbean and so Gem is covered in darkness as she sets sail.